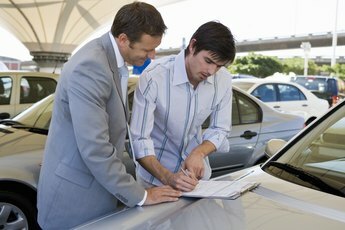 When looking for a new car, shoppers don't always consider costs tacked onto the sales price of the vehicle. One of the largest additional fees you'll pay is sales tax. The amount varies depending on your state and the final price tag on the car. Don't put yourself in a situation where you're sitting at a car salesman's desk staring wide-eyed and confused at the final bill. Calculate the estimated tax on your new car in advance so that you're fully prepared. Determine your state's sales tax rate. The tax sometimes varies depending on your locality (county and city) within the state. You can find this percentage by visiting your state tax, revenue or finance department website. Determine the final price you'll have to pay for the car minus any MSRP (manufacturer's suggested retail price) discounts. 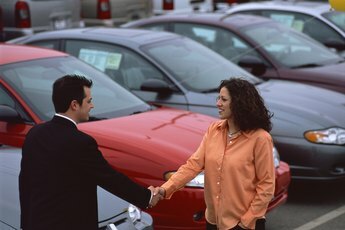 Do not include any dealer financing fees in the calculation; focus on the final sales price of the vehicle. If you're trying to estimate the sales tax before shopping, you can pull up the Kelley Blue Book value of the new car you want to purchase or just browse car advertisements. Deduct the value of your trade-in when figuring the final sales price for sales tax purposes. For instance, if the car costs $10,000 and you trade in a vehicle for $1,500, the final amount you use to calculate sales tax is $8,500. This rule may vary by state, so check your state's sales tax department for the exact regulations when buying a new car. Deduct any cash rebates included with your deal if your state allows. For instance, if you expect cash back of $3,500 on a $15,000 car, your final figure for calculating sales tax is $11,500. But keep in mind that not all states permit this. You may have to pay sales tax on the purchase price before rebates ($15,000 in this example). Again, check your state's sales tax department for the exact rules for this scenario. Multiply the applicable sales tax rate for your area to the final price (minus discounts and your trade-in) to calculate the estimated tax on the new car you wish to buy. In some cases, you can finance the sales tax along with the price of the car, but if you can pay it in cash, do so to avoid paying interest on the additional amount borrowed. 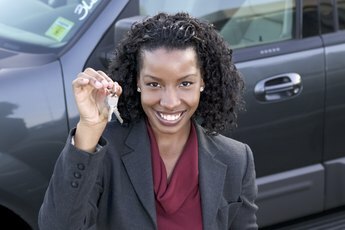 Edmunds: What Fees Should You Pay? 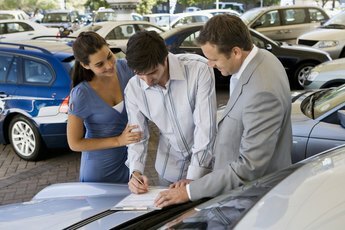 What Is a Documentation Fee for Buying a Car?